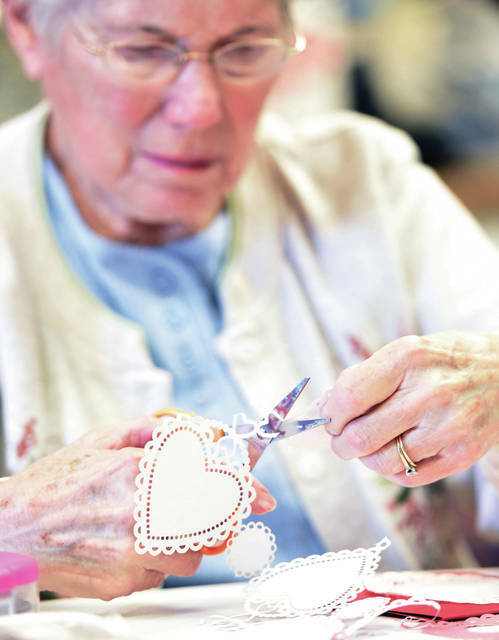 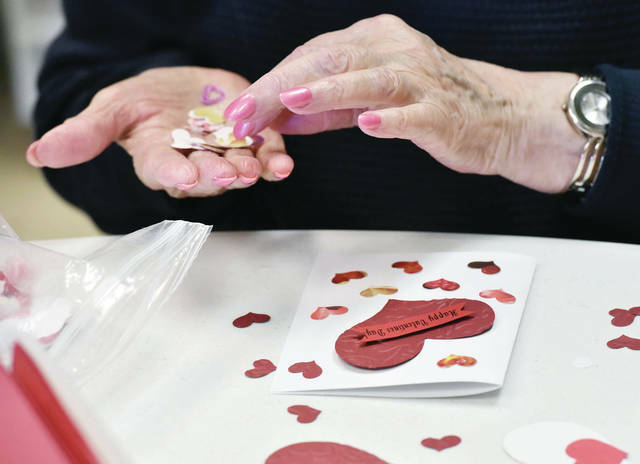 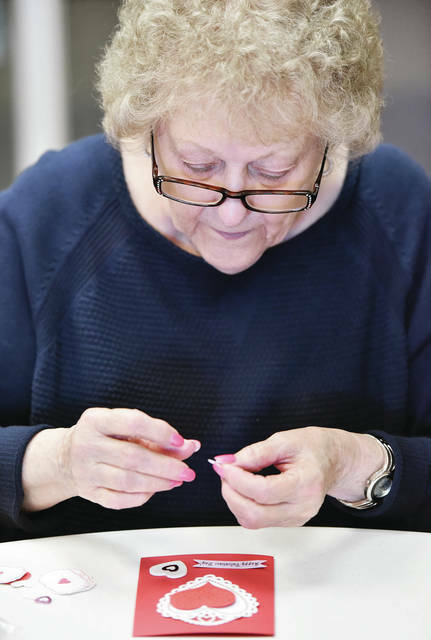 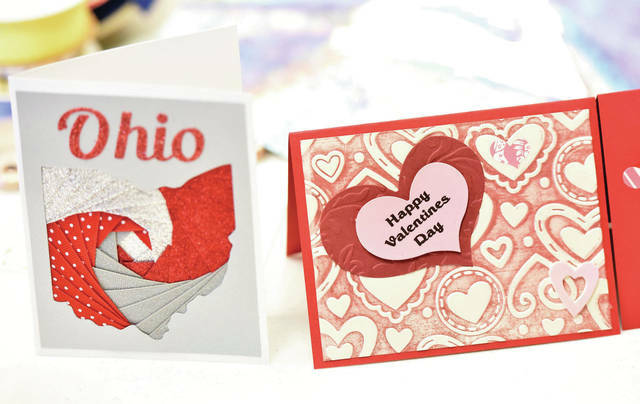 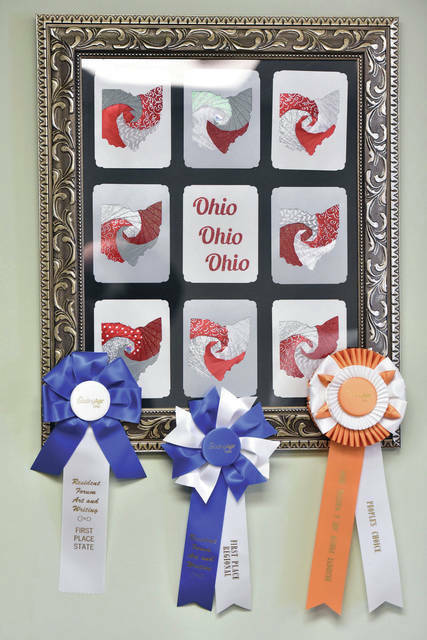 Marianna Roth, of Dorothy Love, makes a Valentine’s Day card at Ohio Living Dorothy Love Friday, Jan. 25. 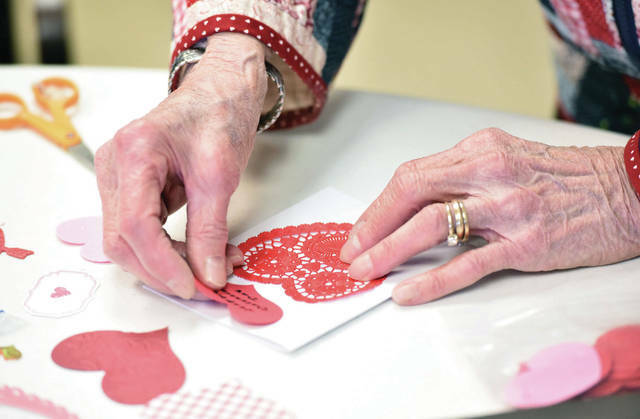 Roth along with Carol Prenger and Margaret Cook were making the cards to sell in Dorothy Love’s gift shop. 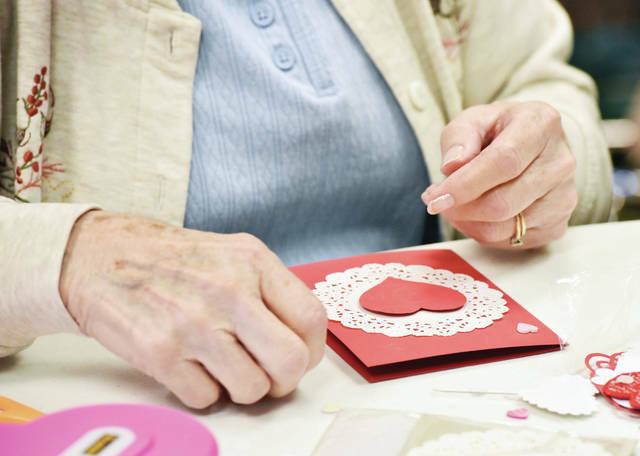 Money from the cards is used to help pay expenses for Dorothy Love residents who run out of money while living at Dorothy Love.